FNC Park opened its gates in February 2009 and has been a premier destination for youth sports ever since. Hosting more than 25 baseball and soccer tournaments a year plus being home to the Oxford Park Commission youth and adult outdoor sports, FNC Park keeps a busy schedule. 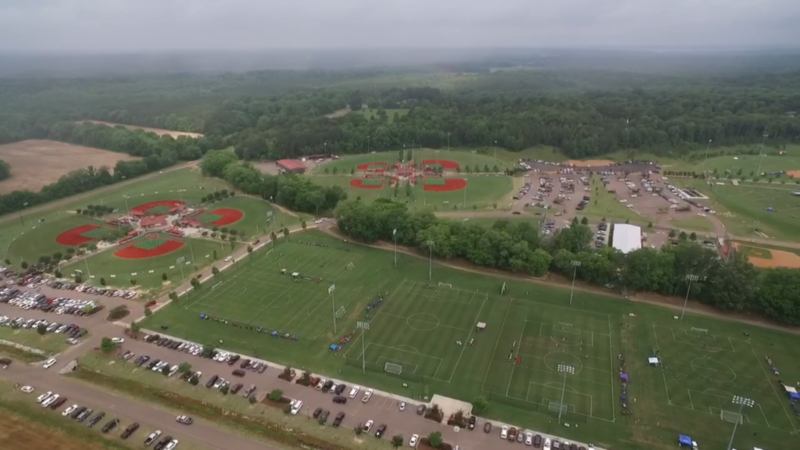 FNC Park takes pride in keeping their Tifway 419 Bermuda grass at professional standards, offering the youth of Oxford and those who visit to play in tournaments the “best fields in the State of Mississippi”. FNC Park has developed 75 acres of manicured grass and grounds boasting twelve baseball fields, four softball fields, five international size soccer fields, four concession stands and a 7,500 sq. ft. Indoor Practice Facility sponsored by Oxford Orthopaedics and Sports Medicine. FNC Park got its name from a local company, FNC, Inc. buying the naming rights to the facility therefore dubbing the park, FNC Park. FNC Park staffs nine full-time members. FNC Park is a standalone department under the City of Oxford and works hand-in-hand with the Oxford Park Commission. It takes (10) five gallon buckets of paint to line our soccer fields.